Locking yourself out of a car is a common occurrence. Of course, it happens to many drivers. Unfortunately, it occurs when one least expects it. Auto lockout is extremely inconvenient as it disrupts a normal routine, leading to rage, anxiety, and despair. Find out what options are available in case this situation is encountered in the future. The first thing to do is to stay calm. It is indeed understandable that the situation is urgent. However, if you panic, check whether or not you have a spare key. Try to check the wallet, pocket or bag for a spare key. If it is left at home, call someone to deliver the key to you. This is the most realistic and cost-effective option if the car is not too far from your home and if the wallet and cell phone is with you. If not, find a nearby phone booth to establish communication with our emergency Local Locksmithservice. However, do not go too far from your car and make sure that you can still see it from a distance. If you are caught in this situation, you are more likely to jimmy the lock, out of desperation, with the hope of getting a chance to open the door. Newer car models have delicate locking systems. So, forcing the lock leads to a jammed door. It is never recommended to force open the lock since it can severely damage the lock system, making it more difficult to resolve the situation. Until the help arrives, stay as close as possible, especially if something valuable is clearly seen through the windows. If this is the case, there is a chance that thieves will break your window glass to gain the pricy item. 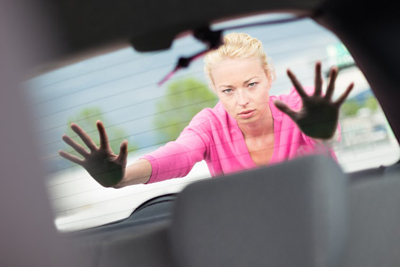 Thieves don’t care whether or not your vehicle is locked. As long as there is no one around, they will seize it.Therefore, to protect your car and things inside, never leave the car alone. In order to expedite this whole unlocking mystery, keep our contact number nearby whenever you hit the road. 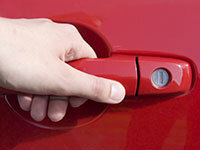 Our Automotive Locksmith service covers all vehicles regardless of age. Likewise,also provide services such as car locks change, car opening, key replacement services, and much more. All are performed with meticulous care for your vehicle. We are here to serve clients, for any emergency situation, security problems, and day by day service that might be needed.